Would you rather your expensive wool blend carpet was cleaned by a professional carpet cleaning company in Bishopton? Call the experienced carpet cleaning service in Bishopton today for your free carpet cleaning quote. Alba Floor Care provides a reliable, fully insured, quality carpet cleaning service in Bishopton and across all surrounding towns and villages. We use industrial commercial carpet cleaning equipment, not available to rent by the general public. When your upholstery look tired and grubby? Prices start at £30 per seat Our eco friendly cleaning solutions are free from nasty chemicals. Safe for all the family Sometimes accidents happen. Choose Alba Floor Care to ensure you receive the best carpet cleaning in Glasgow. You will receive a written, itemised quote before any work is agreed. The price you see is ALWAYS the price you pay. We never add on extra charges or hide any costs. All work we carry out is fully guaranteed. If your not happy we will carry out any work again for free. We are always available, 7 days a week all year long. 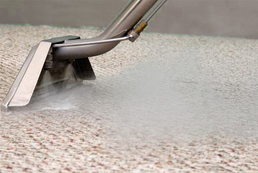 searching for a carpet cleaner in Bishopton? If so then call the best carpet cleaner in Bishopton, Renfrewshire. ALBA FLOOR CARE works alongside Scotclean Solutions to cover the Renfrewshire area. From Erskine, Bishopton and Inchinnan to Paisley and much more. Carpet cleaning is carried out by trained fibre care professionals. Alba floor care invests heavily in training, equipment and technology to provide the best carpet cleaning service in Renfrewshire. We clean upholstery in Bishopton and we have a renowned reputation for our leather cleaning service. See the results from our leather cleaning service and our carpet cleaning service in our gallery. Copyright © 2017 Alba Floor Care – Carpet Cleaning Glasgow. Powered by WordPress. Theme: Accelerate by ThemeGrill.